The talk show where NO TOPIC is off limits. Entertainment, politics, current events, relationship issues, parenting, sexual content, music, sports, social issues, etc. 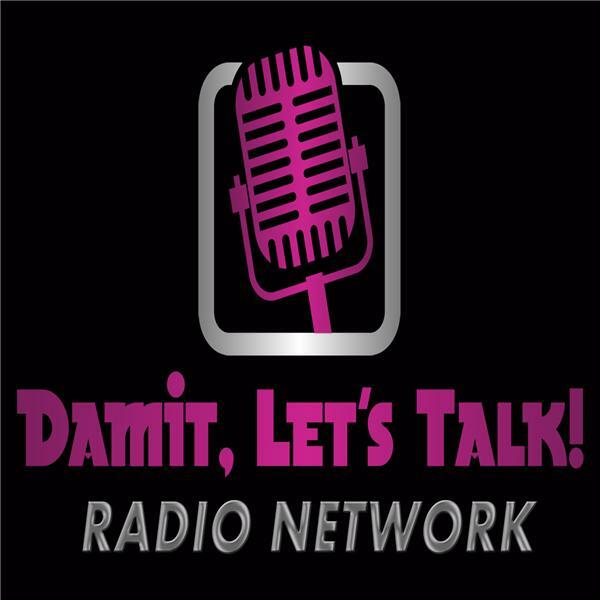 Tune in & listen to Dante-The Dark Knight & co-hosts Darla & Rome as we bring it to you in a direct & humorous commentary. EAGLES TALK - Draft day countdown! Join the crew are they discuss the countdown to draft day, potential draft prospects and the 2017 Philadelphia Eagles schedule.We're counting down to draft day! This week we discuss the free agent signings of DE Chris Long and CB Patrick Robinson and the upcoming draft. DAMIT, LET'S TALK! - What's going on? On this show the crew talks about various topics in the news today. Join Dante TheDarkKnight, Darla, Jerome, Cookie and Sharra as they discuss the current events that they deem important. DAMIT, LET'S TALK! - Reality shows whose reality is it? Eagles Talk - Free agency begins! Eagles sign Alshon Jeffrey and more! DAMIT, LET'S TALK - ROLES IN THE MODERN-DAY FAMILY, HAVE THEY REVERSED? Damn it! Keeping it Real Just Went Wrong!